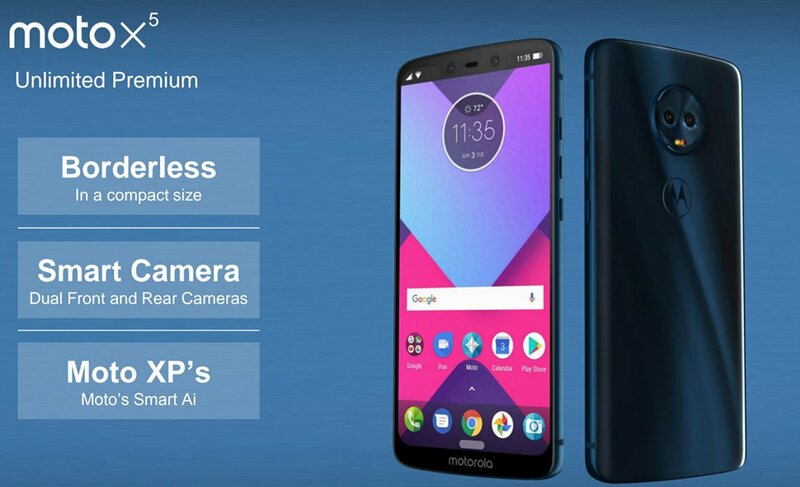 Motorola brought back the Moto X series last year with the launch of Moto X4 that was a decent mid-range smartphone featuring probably the best design among any mid-range phone at that price and some unique features like IP68 rating, Snapdragon 630, etc. This year, the Moto X5 is launching, and that has been confirmed already, thanks to Evan Blass. Today, the Moto G6, G6 Plus, and G6 Play also leaked out so you can check our post related to these phones. Just like the Moto G6 and G6 Plus, the Moto X5 has ‘Motorola’ branding on the front instead of the ‘Moto’ branding that we saw last year. The phone exhibits the same design language with 3D glass on the front & rear and aluminum frame. The display is an 18:9 one with rounded corners, and if you still didn’t notice, there is a notch on the top. Yes, the Moto X5 has a notch similar to that on the iPhone X. The notch has dual front cameras and the earpiece that has the speaker embedded in it. The implementation is a bit different as the display on either side of the notch has all the basic status bar icons like battery, signal bar, date, etc. while the main rectangular display is present below the notch. It will be interesting to see how the phone handles notifications with this implementation. Also, it seems there is no fingerprint scanner at all, at least not on the front! It is still not 100% confirmed if Motorola is planning to ditch the fingerprint scanner so we can expect it to be within the logo on the rear (which doesn’t seem the case as per the render above). Just like the iPhone X, there might be gestures for the home button, back button, etc. as we can see a single white on-screen button on the display where we usually see all the on-screen buttons. The render above has a few highlights of the phone mentioned like a borderless display, Dual front, and rear cameras, etc. There is no information about the specifications so stay tuned for more updates. Moto G7 & Motorola One launched in India, but who cares?